Former Dean of Fine Arts; Director of Bands; Director of Jazz Studies/Performance; Chairman-Percussion Department/Performance at Kansas State College, Texas Tech University, University of Wisconsin-OshKosh, Thornton Township (Illinois) High Schools. Twice elected to membership in the College All-Star Band and the Illinois All-Star Jazz Ensemble, Mazzacano is a former member of the Chicago Lyric Opera Theatre and Grant Park Symphony Orchestras. He has served as Staff Conductor, Percussionist, Arranger/Composer for the CBS and NBC networks; radio stations WFJL, WGN, WBBM, WMAQ, WRST; the Hilton Hotels; the Ice Capades. Mr. Mazzacano has extensive experience as conductor, percussionist/drummer, arranger, composer, vocalist in radio, television, recordings, jingle studios, the concert stage and the Broadway theater. A partial list of credits includes: Tommy Dorsey, Boyd Raeburn, Jimmy Dorsey, Les and Larry Eigart, Charlie Barnett, Tex Beneke and the Glenn Miller Orchestra, the Henry Mancini Orchestra; Johnny Hodges, Ben Webster, Roy Eldrige, Bobby Hackett, Andy Williams, Carmen MacCrae, Tony Bennett, Mel Torme, Ella Fitzgerald, Kai Winding, Frank Rossolino, Seals & Croft, the Bob Hope shows, the Danny Thomas shows, Victor Borge, Liberace, Toshiko, Elvis Presley, Sammy Davis, Jr., and Clark Terry as well as the Broadway productions of West Side Story, A Chorus Line, Hello Dolly, My Fair Lady, Fiddler on the Roof, Stop the World, Applause-Applause and the Music Man. Founder/Music Director: Chicago Jazz Lab; LaBette County Television Educational Network; Minnesota Youth Jazz Education/Performance Workshops. Music Director/Arranger-Composer/Clinician: Birch Creek Farm Music Academy Jazz Camp. Mr. Mazzacano is the only university level music educator ever elected to the Wisconsin High School Honors Faculty and Staff. Music Director/Conductor and Co-Host of the weekly television series "Backstage", host of the syndicated radio show "Jazz Profiles"; Composer/Conductor for ABC-TV "Movie of the Week" productions, Mazzacano continues to arrange and compose for numerous professional, university and high school instrumental and vocal music organizations and leading professional concert artists and jazz soloists. Two of his larger orchestral works, "Woman" and "Duke, We Love You Madly", were commissioned and given their premier performances by the Lubbock Symphony with Mazzacano conducting. The Manhattan Ensemble, Southwest Contemporary Music Symposium, National Composers Alliance, Interface, Minnesota Composers Forum and other leading organizations have commissioned, programmed and performed much of his original chamber music. The Minnesota State University System commissioned Mr. Mazzacano to compose music for the dedication of its newly established university campus in Akita, Japan. A number of compositions and musical arrangements (from the complete catalog of his music published by PM Music Publications) are included in the Required Music Contest Lists of state music organizations. His academic excellence has earned him six Outstanding Educator awards. A writer for leading professional journals and a recognized authority on American Indian music, Mazzacano has been awarded grants by the National Endowment for the Arts, the U.S. State Department, the State of Michigan to arrange, compose and to establish state, national and international music workshops and symposia. The Minnesota State Arts Board has awarded him consecutive Artist-in-Education grants. Guest composer/conductor for numerous State All-Star, Honors, All-State vocal and instrumental music organizations, he has been elected to membership in "Who's Who in the Midwest", "Personalities of the Southwest", and "Who's Who in Percussion in the World". A Clinician/Music Education Consultant for Premier Drums, Ltd., a much sought after classical and jazz clinician, composer, conductor and performer, Mazzacano is also the Leader and Music Director of the 20-piece big band, "Showtime". 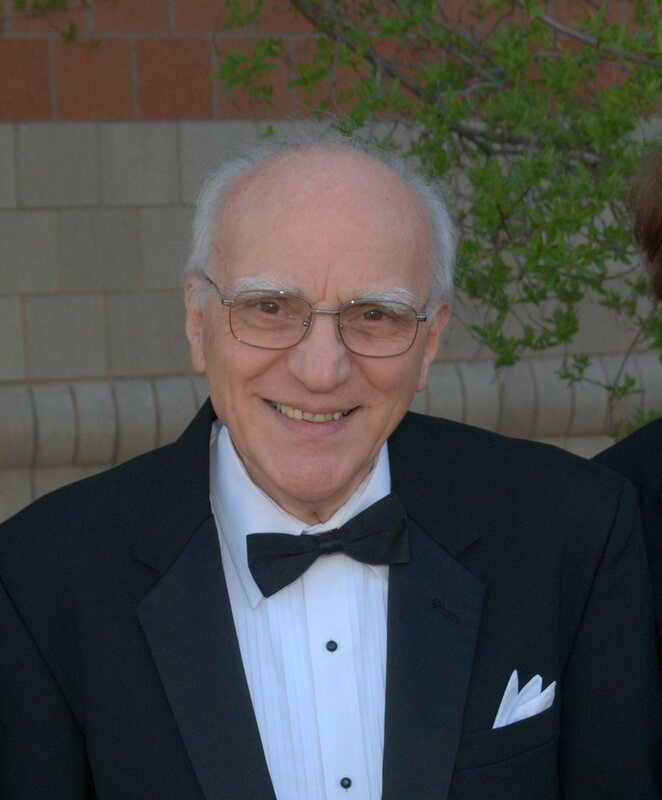 A number of his students have achieved professional success as prominent music educators, members of major American and European Symphony Orchestras, the big bands of Woody Herman, Stan Kenton, Buddy Rich, the Nashville Brass and major recording and movie studios.